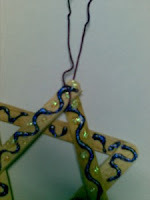 Here is another project for children to make during Hanukkah. 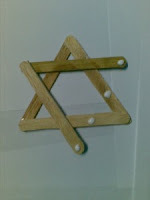 I like this one because children love to do crafts with popsicle stick form my experience as a teacher. 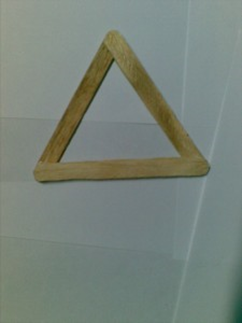 Glue the ends of 3 sticks to form a triangle as shown. 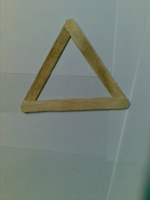 Add a 4th and 5th stick as shown. Glue the 6th stick as shown. Tie a thread through the top as shown. 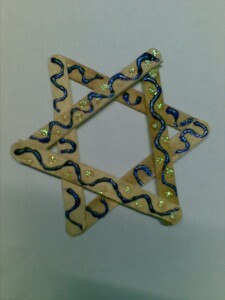 Now hang the star wherever you like.